Vegas is here. 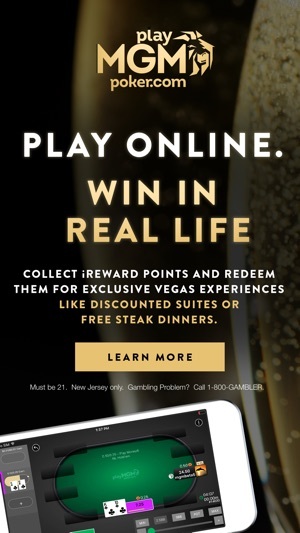 With playMGM Poker, Real Vegas gambling is available online and anywhere in New Jersey. 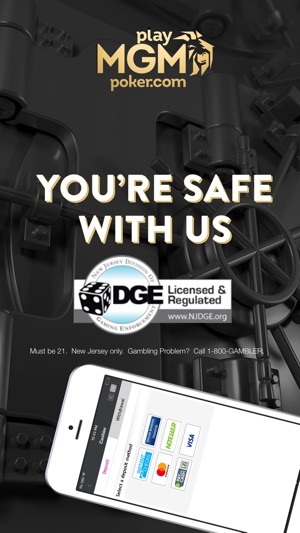 Join players all over New Jersey for some Texas Hold ‘Em and Fast Forward Poker — all for real money and real Vegas iReward points. It’s safe, secure, and offers all the thrills of the real Vegas felt. 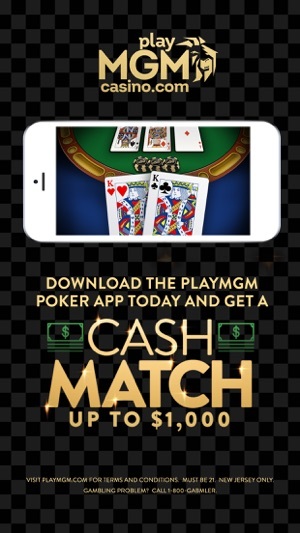 Download the playMGM real money poker app today and start winning! 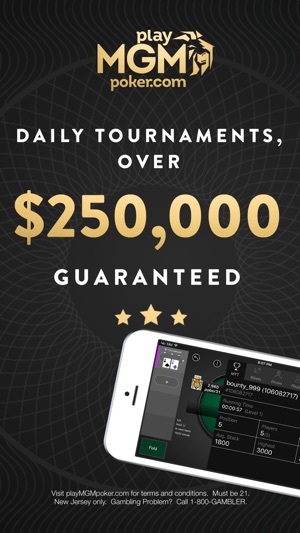 I play poker for real every Sunday. I love this app.